Hi crafty friends! 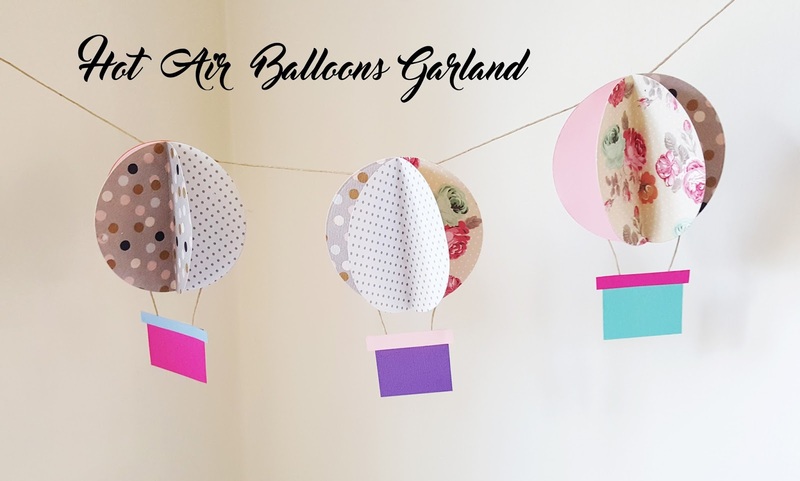 I'm back today with a new inspiration, a Hot Air Balloon Garland. I recently found this idea on the internet I think it's the cutest idea ever! Not sure how much you would be interested in making one of this but I prepared the tutorial for you, just in case you know. Hehe. Step 1: Prepare circle die-cuts (four circles make one hot air balloon). Step 2: Fold all circles in half. 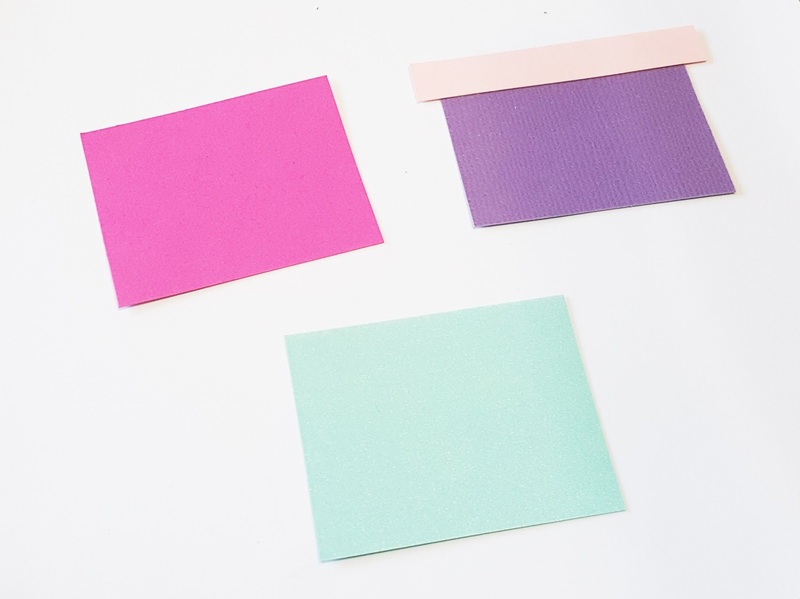 Step 3: Take one of the fold circle to use as base, punch a small hole with a staple. String through twine or ribbon. 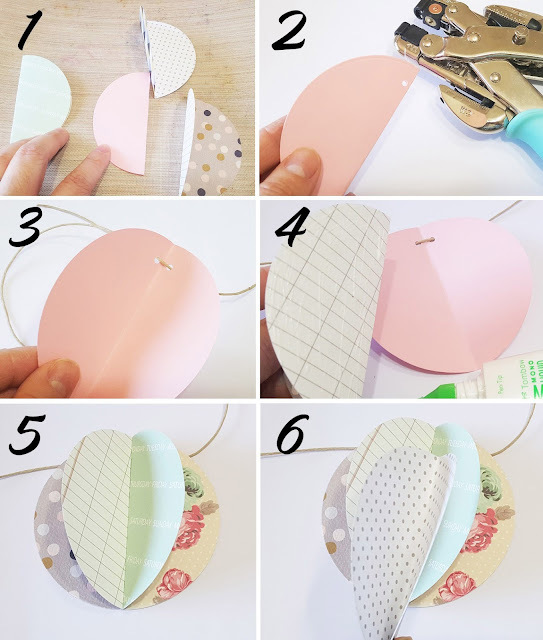 Step 4-6: Apply glue on the rest of the folded circles and adhere to the base, as shown in picture 4, 5 and 6 above. Step 7: Refer picture below, cut rectangles to create the baskets for the hot air balloons. 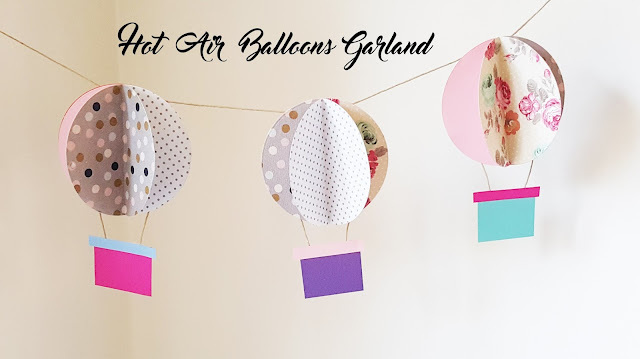 Connect the balloon and the basket using twine. Here is the completed project, I hope you enjoy the tutorial. Happy Crafting!